Discussion in 'JS Plugin Releases (RMMV)' started by bblizzard, Apr 15, 2018. In general other similar variants are allowed as long as it is clear who the creator is (e.g. "Ultra Mode 7 created by Blizzard" is acceptable). But if possible, prefer to use one of the two variants listed above. If you fail to give credit and/or claim that this work was created by you, this may result in legal action and/or payment of damages even though this work is free of charge to use normally. renamed "Camera" functions to "CameraDistance"
All instructions are inside the script in the first comment. Q: Why does the script not work with canvas? A: The script was written with the 3D capabilities that WebGL offers. Any implementation ported to work with canvas would be too slow anyway. Q: Can I change map parameters on the fly? 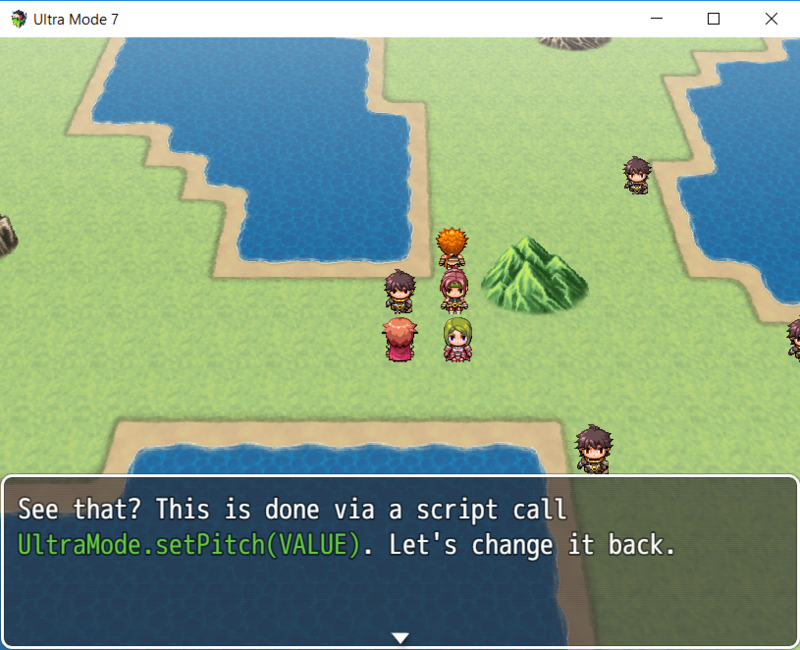 A: Yes, there are instructions in the script how the script calls are used. There are also examples in the demo. Requires WebGL. Does not work with canvas and due to how canvas works, it can never support canvas. Because the tilemap is rendered entirely flat, tile priority isn't used. Scaling has been optimized for usage of an FOV of 60°. Using different values will cause some weird scales being used for characters. 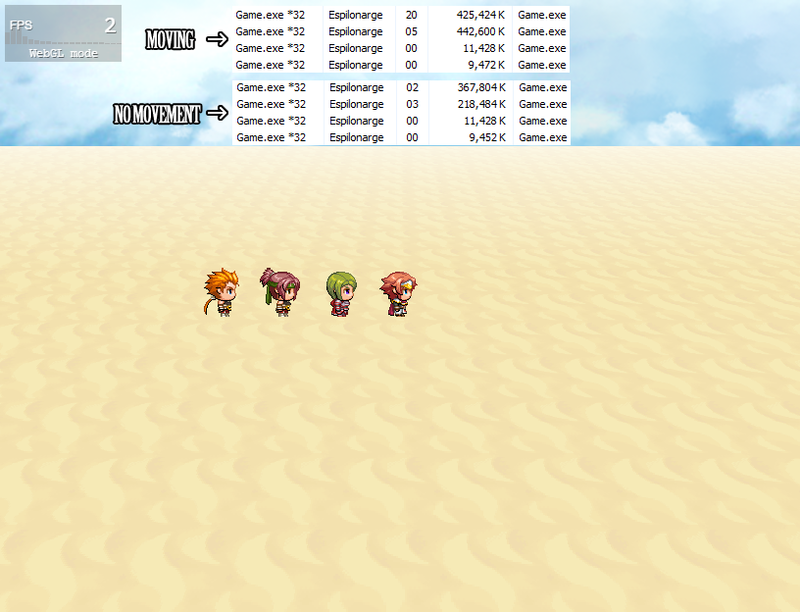 Due to yaw rotation requiring turning of characters, 8-directional characters sprites might have only limited support. Make sure to read the instructions and study the demo before asking questions. Zeriab, Acer2020, Jellicoe and 42 others like this. you forget add a package.json,. I just try demo , this its fu%$*g awesome !!! Q: Why are looping maps not supported? A: They require rewrites in some core functionality and can also cause issues depending on the map parameters so this was left out for now. Oscar92player and bblizzard like this. @Oscar92player As Jaiden already quoted, looping maps aren't supported for now. Oooh, I get it, thanks for the info! I hope this can be supported someday, since it is a very needed function to make a proper worldmap. But it is admirable that this Mode7 has no lag after all, it's very well optimized, and I hope you can work on more functions in future versions! 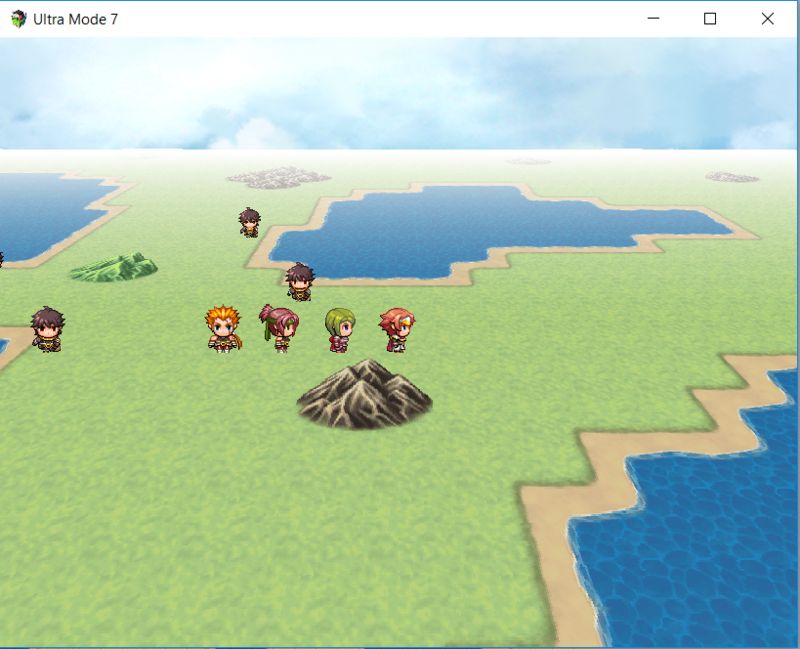 Yes, I will add loopable maps in the near future. The only reason I didn't add them right now is because my original game code didn't require it so I haven't implemented it there either. Yeah, I know how the driver usually optimizes rendering and where performance is faster so I know where and how I need to generate and cache rendering data to optimize performance. 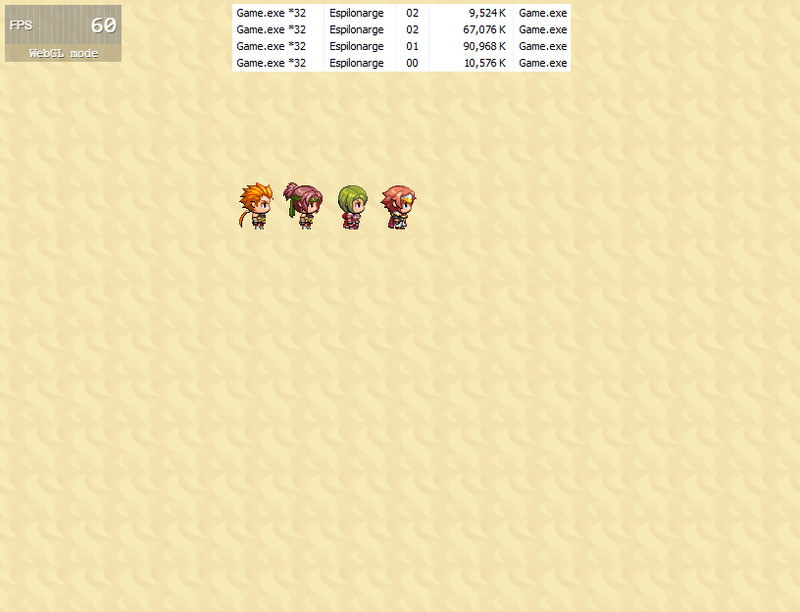 My very first implementation actually started lagging a lot on larger maps. But I resolved this when I restructured the code later on. Already looks pretty cool so far, congrats and thank you for doing it. Curious to see where it can lead, I can think of some ideas/tricks but it might still be a bit rough now in order to create something that could look good from a strictly graphical pov, but sure from a technical one it's a nice achievement. Would be nice to have sprite (events) filtering when scaled (gets really pixelated when too close), and having those in a distance getting “lost in the fog” (Silent Hill style) because right now they stand out (above the “horizon gradient effect”) and just disappear suddenly when too far away, if it’s possible to draw those sprites under the “horizon effect” it might do the trick. Changing filtering is simple. I can make that an option like the filtering of the tiles. I wasn't sure how exactly I should handle the sprites close to the fade fog. Might be the best to simply fade their color into white as well. What do you think? Might be the best to simply fade their color into white as well. What do you think? Yes, it's probably a good method to improve the render. Good luck! Not sure if this is intentional, but when you set the pitch to 0 (for non-mode 7 maps) the sprites disappear. Nope, it's a bug. I'll look into it. A curiosity: I remember old mode-7 scripts for XP/VX allowed you to make some tile elements like trees "pop up". Will this ever be possible, or is too much of a hassle? I remember reading other topics about Mode-7 on MV, and it sounded like the engine is just not very apt for this kind of stuff. A curiosity: I remember old mode-7 scripts for XP/VX allowed you to make some tile elements like trees "pop up". Will this ever be possible, or is too much of a hassle?. You're most likely referring to MGC's Mode7 script for VXAce. This is also a feature I would love to see implemented, however the real issue with that script was that you had to set tiles in the Tilesets with the very limited Terrain Tags (0-7) to set them (which lead to oddities when specified tiles "touched" each other). The only possible way to get around that limitation is to use Regions, however, I don't know if in the plugins current state it would even be possible unless it somehow was coded to set two specific regions, one for simply lifting B-E tiles only and the other to lift A-E tiles. bblizzard, if you're not sure as to what we're referring to, here's an example. Thank you so much for working on this plugin bblizzard. I have been hoping to implement it in to a number of maps I've made since my project used to be done in VXAce (which I converted to MV due to VXAce's abysmal performance in a number of key areas of the engine) but it was one of the many scripts that I could never find a replacement for in plugin form (or rather lack there-of anyone releasing one that works naturally some gimmicky limitation or issue). 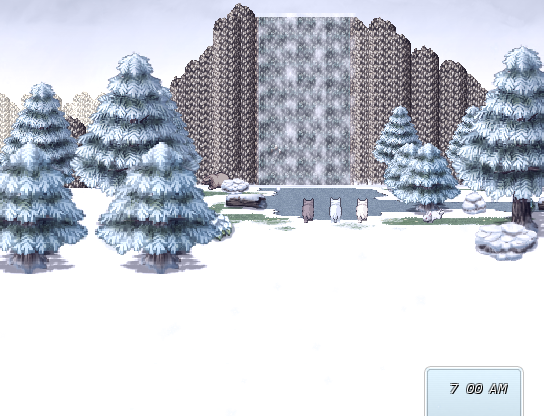 Also, if I could make a couple of suggestions (apart from the vertically standing tiles). * The ability to set the "color" variant for the fade-out depth (not just white) and be able to transition between two different colors (eg = aqua -> orange -> dark blue -> aqua). * Add a "timing" function to set the speed the Mode7 adjustments (eg = UltraMode7.setCamera(Z_DISTANCE, FRAMES) ). The reason why I'm suggesting these is because I have a day-to-night cycle in my game (white doesn't exactly work well during a "night" time scene). I may also want to transition more slower than the current default speed set in the plugin. It seems I've already ran in to two major issues with the plugin. * It seems the plugin does not like maps that are large (eg = 256x256). The FPS will stay stable at 60 FPS when you stand still but the moment you move or shift the camera around on large maps, the FPS plummets drastically (below 5 FPS on a NVidia GTX1070 based GPU) until you or the camera stops moving, returning back to 60 FPS (tested in both my game and the demo). I'm not sure if this is an issue caused by using OpenGL or something else entirely. * It seems not to be compatible with SumRndmDde's Camera Core. MV isn't showing errors in the console, rather all tiles become "invisible" when his plugin is turned on (his plugin can be found at http://sumrndm.site/camera-core/). I see. Yeah, I would need to change many things to make this possible. The biggest problem is that there are so many ways you can do this and you can organize maps. Technically without a lot of custom code you won't be able to do many of these things anyway which is why I decided not to implement this. However, this specific example should be possible with events. Yeah, this is another thing that I didn't bother adding right away since I wanted to see if there's any interest for the script. Hm, this is weird. I ran a more complex version of the script (the one I use in my game) with a 500x500 map on an NVidia GTX 1060 with barely noticeable performance hits so I assumed the driver was able to handle all the vertices and optimize them on the GPU (and basically just cut them off). I guess it doesn't and I'll have to do some manual optimizations. ._. I'll check it out. I expected these kind of issues. I went and did some testing. First, I turned off the plugin and checked my CPU/RAM usage, then turned it back on and checked again. I noticed the moment I moved around (after one tile) on a map with Mode7 active, the CPU activity "spiked" and there was an large increase in RAM usage. I've also tested this with 1.5.1 and 1.6.1, both having the same results. The following links show what happens when the plugin is turned off and turned on. I've seen this kind of behavior before in a number of games and it's not always easy to identify exactly what causes it but there are a number of possibilities. One theory I have, it's most likely because the plugin is telling the CPU to make each tile use separate graphics on-the-fly. What I mean by this is that it most likely has to process each tile as a "new" graphic separately (256 tiles using 256 desert ground graphics) rather than using the "same" graphic for all specified tiles (256 tiles using just 1 desert ground graphic). Every time I move a tile forward, it removes 256 of those graphics and than creates 256 new ones (which would explain the sudden jump in CPU and memory usage when moving around). There's also the possibility of this being a driver or OS platform related problem. I'm currently using Windows 7 64-bit as I outright made sure my system would never allowed itself to "upgraded" to Windows 10 (I have my reasons). There's also the fact that much like the OS, GeForce drivers tend to operate differently depending on the video card and OS (even something subtle as the way shaders, tiles or textures are handled) so that might also be a possibility as well. There's even the fact that you stated that you're using a "complex" version of the plugin. I'm currently using the one provided in the demo to do these tests so I'm not sure if there is any differences between the demo version and the complex version (unless they're actually identical). At this point, I couldn't really narrow it down but I'm just throwing possible theories to see how it can be resolved. On another note, I did run in to a couple of rather odd quirks. 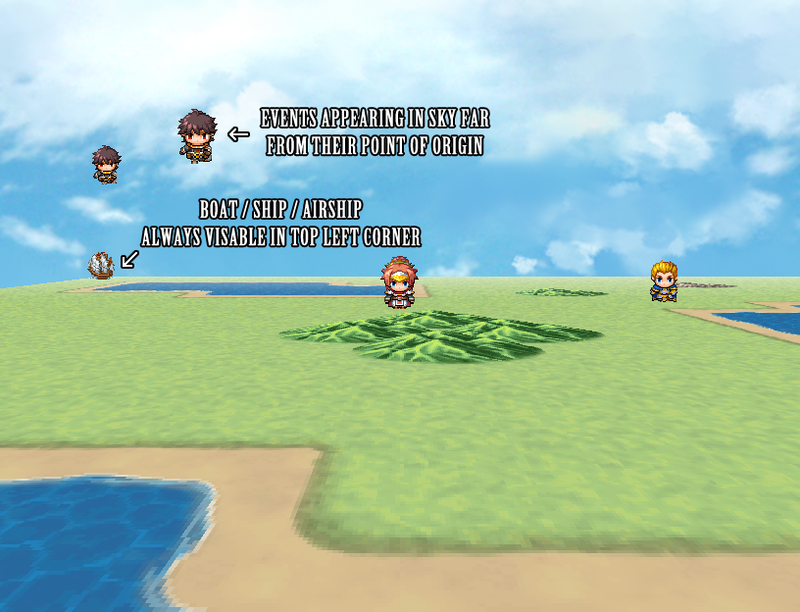 First, it seems that the boat, ship and airship is always visible in the top-left corner of the map (even when they're not placed on the map) and using angles in excess of 70 (up to 100) is causing events to become visible in the air (not at the point of origin where they were placed).